As you know, I Iove babywearing. It leaves my hands free to do other tasks and I get the benefit of keeping my baby close to me. 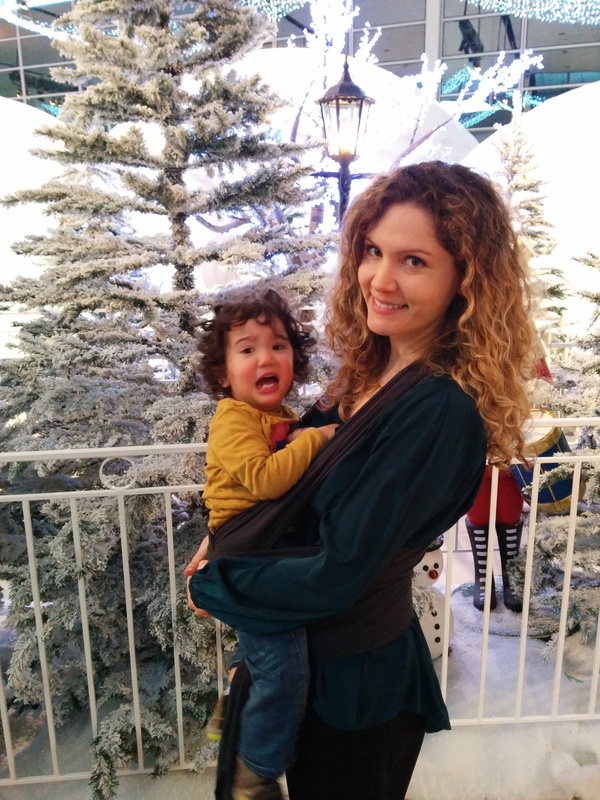 There are numerous benefits that babywearing provides mums and newborns which I outlined here. I really recommend any new mum to invest in a good baby carrier. When Thomas was a newborn I wore the NCT Caboo carrier then I moved to a woven wrap when he got older. So I was delighted when Kanga wraps asked me to do a review because it would give me the opportunity to compare and really test out the Kanga wrap. 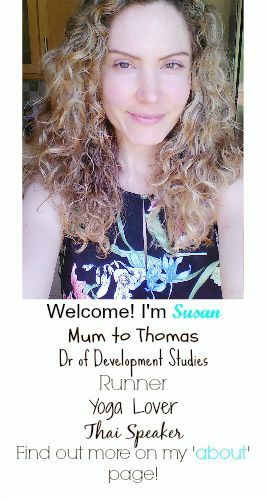 When Thomas was first born he was tiny, so this Kanga wrap would have been so useful as it is ideal for premature babies- I really wish I had it back then! 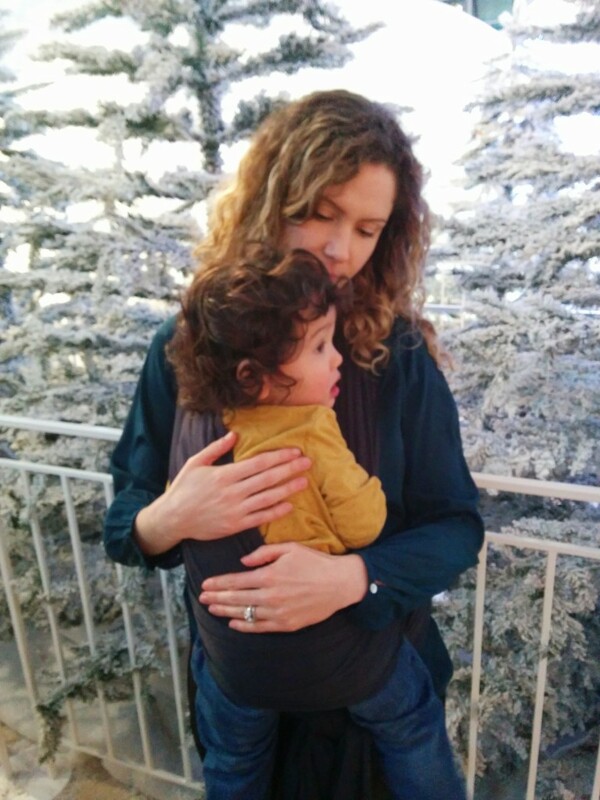 Thomas is now 12 kg and 18 months old, so I need a wrap that is going to be able to withstand his weight as well as be comfortable for me.The Kanga wrap is suitable for newborns-3 years old. So this is perfect for Thomas. I was worried that it wasn’t going to be sturdy enough to withstand his weight, but I must say I am pleasantly surprised! The wrap is one long piece of ultra soft fabric, It’s made out of organic cotton so is very soft, much softer than any other wrap I have ever tired. It is also easy to put on. You tie it around your waist, up over your shoulders and then cross it around your chest and tie it at your waist again as you would with any woven wrap. 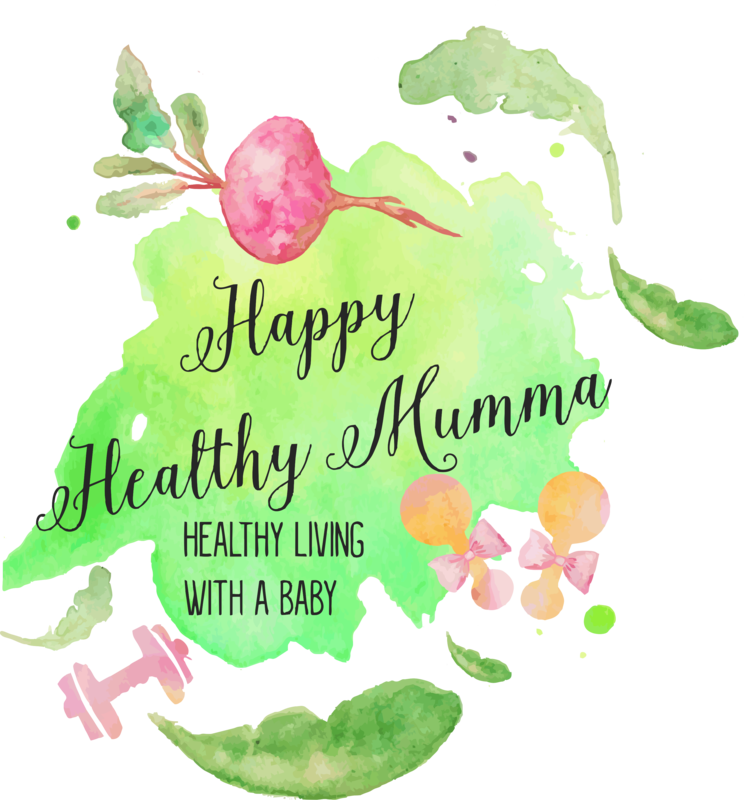 The beneficial thing about the Kanga wrap over a woven wrap is that it is much easier to stretch the fabric to put the baby inside the wrap AND it is MUCH less expensive!! The Kanga wrap will never hurt their little legs as the fabric is so soft and stretchy. Thomas also wriggles a lot and because the Kanga wrap is so flexible it stays snug around his body and legs and doesn’t come loose. I got to test out the Kanga wrap a lot over Christmas. It came in very handy, especially when we were shopping and Thomas got bored of being in his pushchair. He threw the biggest tantrum and when put him in the wrap he calmed down. He loves looking around and being at my eye level. Photo 2: After he calmed down! The Kanga wrap comes in a handy bag too, so it’s easy to transport when you aren’t using it and I can easily put it in my changing bag as it folds up really well and is very light. KangaWraps are developed by Trade4Life, a Not-for-profit company and staffed by volunteers in Kent. Trade4Life was set up to improve the lives of disadvantaged people in developing communities by creating ethical work opportunities when making the wraps. With every purchase of a Kanga wrap they also donate money to help maternity care in Delhi slums in India and maternal and newborn care in Kenya too! I love that they are such an ethnical company! 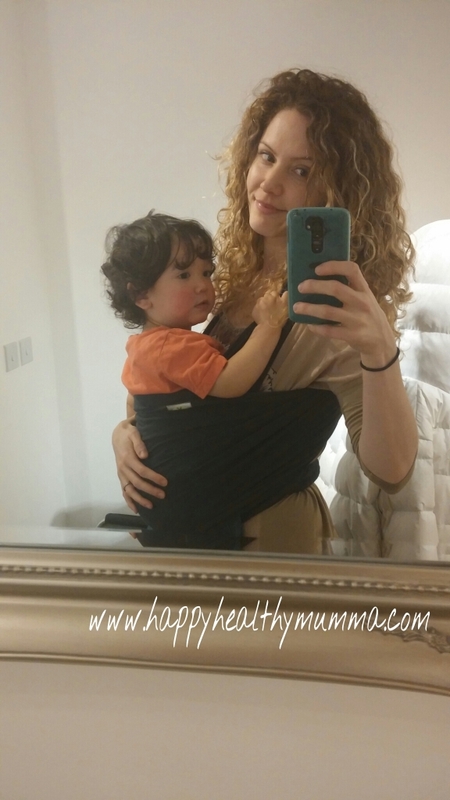 Have you ever tired babywearing? Would you like a Kanga wrap? I have one to giveaway! Enter below! 10 Responses to "Kanga Wrap Review and Giveaway"
Yes, I my little ones were born close together! I felt it was natural and a lovely bonding experience! I wish more dads would do it too! Great giveaway, thank you. I never tried babywearing but wish I had. Maybe with the next one! no i have not yet tried baby wearing.